After upgrading to iOS 11 on the iPhone, you may notice the location information is being shared perpetually. This is evident because of a compass needle icon in the upper right corner of your screen as shown in the image above. This could be due to the Weather App having access to your weather even when it’s not visibly in use. If you have the Weather widget in your Notifications screen, the app could perpetually be checking your information. 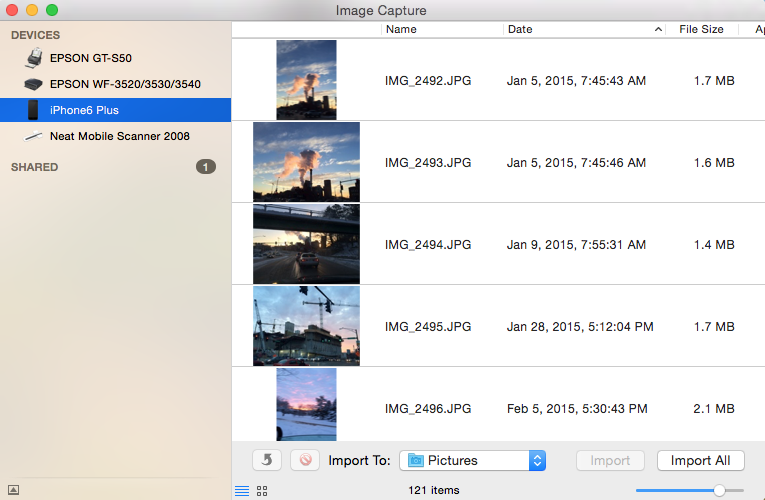 Instead, manually add your current location — and any future locations when you travel. You should also check for other apps that may be continually using your location. Some apps, such as those that track your auto mileage, need to be tracking your location all the time to automatically know when you’re driving. So, reconsider whether or not there’s a better alternative such as MotionX-GPS track recording on demand. Go to Settings > Privacy > Location Services and review the list of programs. It’s best to have apps configured to use location services only when the app is in use, or never. A few examples are below. At the bottom of the the applications list you’ll find a key explaining what the location services icons mean. If you’re using Evernote on an iOS device like iPhone or iPad, you’ve probably noticed an annoying and persistent pop-up message asking you to login to your Apple iTunes account with your Apple ID password. Evernote for iOS: If you’re prompted to sign in to iTunes, please tap Cancel to resume use of Evernote. We’re working on a fix. Thank you for your patience. Last week, Evernote pushed out an update that caused their iOS software to be very slow and barely usable. There were error messages about the server not being available, and synchronization errors. What’s troubling about these recent problems from such a well established and trusted company like Evernote is that they represent the ‘canary in a coal mine’ phenomenon of system failures, but here we have not a canary but an elephant in the coal mine. Big reputable companies are starting to show system strain and failure. Across numerous industries, not just tech firms, we’re seeing poorly developed products that have little or no testing before being pushed out to the public. Any user will immediately notice bugs and wonder “Do they even use their own product?” These aren’t difficult to spot or identify problems. At the risk of offering an oversimplified analysis, it seems that these kinds of problems usually occur when entire industries try to do more with less. Businesses seeking to become more ‘efficient’ go beyond the point of diminishing returns where the quality of products, services, and workplace satisfaction are degraded. Everyone loses. We all need to do what we can to emphasize the pursuit of optimal quality rather than maximum efficiency. Quality products, quality workplaces, quality services, and the highest quality of life for everyone we work with. When you update your iPhone apps you’ll notice under each app there’s an option to read “What’s New” to find out what has been introduced with this new update. New Features. Sometimes it’s the only way you’ll learn of a useful new feature. Critical Warning. Developers will sometimes put an important message in those notes such as “We’ve received feedback that this update will cause your phone to crash. We’ll get a revised one out soon.” That was a message recently with an app update. Update Advice. There may be some advice from the app developer regarding the update. Some updates may require a backup of your data. See the example below. It doesn’t take long to read the update notes, and most of the time it’s worth it because you’ll learn about some important new features and bug fixes. For this reason, you may want to disable any automatic updates not just on your phone, but on your other devices and computers so you can be fully informed about the updates and make sure there are no known problems associated with the updates. Below you can see an example of how important update information isn’t visible until you tap “What’s New” to reveal it. 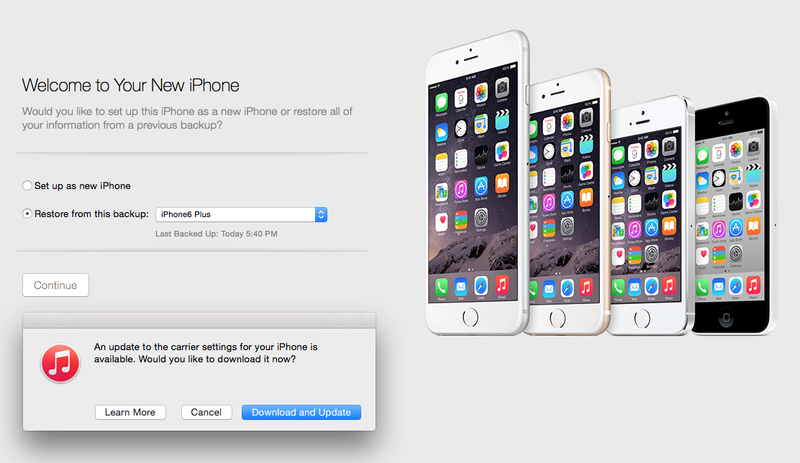 In the example below, the app developer suggests users make a backup of their data before updating. Wi-Fi calling is the ability to make phone calls from your mobile phone when there is little or no mobile signal. Until recently, people living in areas with poor mobile signal strength had to purchase micro-cell devices at a cost of about $150. These devices would plug into Ethernet and work like a small cell tower in your home. With Wi-Fi calling, it’s possible to make phone calls anywhere there’s a wireless Internet connection, even if no carrier signal is present — like basements or office buildings. Skype Phone Number – $6 / mo. Wi-Fi calling has been available for a while in various forms. The Skype app for mobile phones was an early offering that was initially blocked by carriers for use over cellular data because it was seen as a way of circumventing the mobile phone packages that limited the monthly calling minutes. You could still use Skype wherever wireless Internet was available, just not while away from wireless. Eventually, mobile phone carriers began offering unlimited nation-wide calling so cellular data use by VoIP apps was permitted. Skype continues to be a favorite solution for video calling. A drawback to setting up a Skype phone number is that the available area codes are limited. For example, in Iowa, only 712 (Sioux City) is available. Unless you live in that calling area, people calling from landlines will need to pay long distance fees. Republic Wireless – $10 / mo. One of the first innovators to offer wireless calling included in their phone service was Republic Wireless. Initially the cost was $5 per month. That’s now up to $10 per month. With phones starting at about $130, you can have wireless calling as well as a pay-as-you-go cellular phone service. Google Voice – $0 / mo. Google Voice is available at no cost for every person who has a free Google account. If you setup an Android phone with the Google Voice app for Android or an iPhone with the Google App for iOS, you get a free phone number in just about any area code you choose. You can then receive and make calls from that number. The phone service includes voicemail and SMS text messaging. If you’d like to activate the phone with a carrier, you can, but you don’t need to. So, essentially, you can have free phone service, and a free phone number, forever. It will work anytime you’re in range of a wireless Internet connection. NOTE: Incoming calls can only go to voicemail or be routed to a working phone line. So, if you’re using your Google Voice phone as your only phone, then you’ll need to have people leave a message and then call them back using Google Hangouts. Making Calls with Google Hangouts. 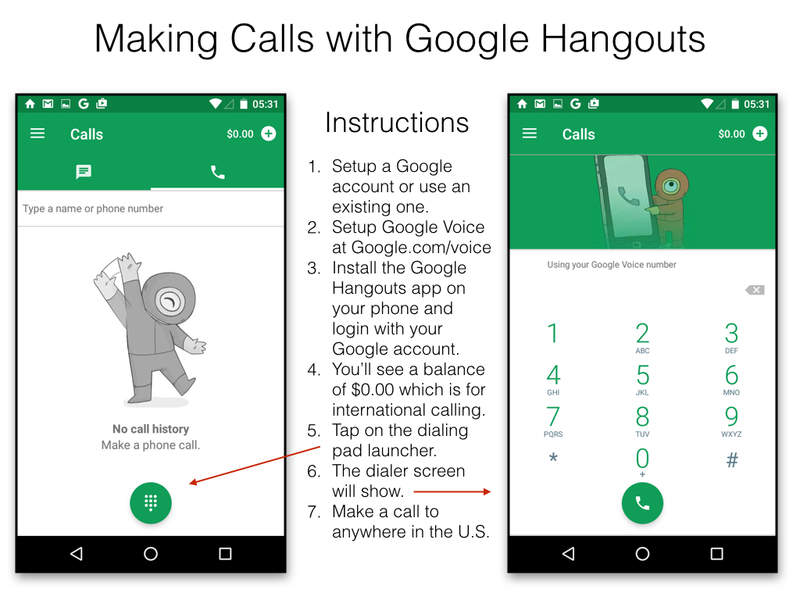 The instructions below explain how to make a call with the Google Hangouts App. Click this image for a larger view. If you plan to save money by using a mobile phone with or without carrier service activated, here are some great models to choose from. It’s best to choose a model with 16GB or more memory so the phone isn’t running out of room frequently. Motorola Moto G 16GB Global Phone 3rd Generation – $219 on Amazon. This phone looks great and sounds great with dual front facing speakers. It has a fast quad-core processor and includes an FM radio. The smooth design all around is very comfortable to hold. The 5″ screen is an ideal size — not too big, and not too small. The display is super colorful, crisp and bright. As a global phone, it has maximum compatibility and resale value. Motorola Moto G 8GB 2nd Generation – $99 to $165 on Amazon. The 2nd Generation Moto G is available in 8GB only, but it will save you some money. It has many of the same benefits and features as the 3G. The US model is $99 and the Global model is $165. Unlocked Android Phones on Amazon. There are a variety of unlocked Android phones on Amazon. Unlocked phones have the greatest flexibility and need not be bound to a contract with a particular carrier. Android phones offer the ability to use the Google Play store for apps. Unlocked Apple Phones on Amazon. There are a variety of unlocked Apple phones on Amazon. Unlocked phones have the greatest flexibility and need not be bound to a contract with a particular carrier. The Apple iPhone offer the ability to use the Apple App store which may have more elaborate features than their Android counterparts. Newer models of Apple iPhones have one-touch fingerprint readers which help secure your phone. If you’re planning on exclusively using Wi-Fi calling you might consider using an iPod Touch starting at $199 for the 16GB model. The iPod touch offers many great features and it’s super slim and light. Like the iPod touch, an iPad would also serve as an excellent phone system with the added advantage of having great computing features for other work. Using cloud storage with Dropbox or Box turns the iPad into a desktop-class file storage system. 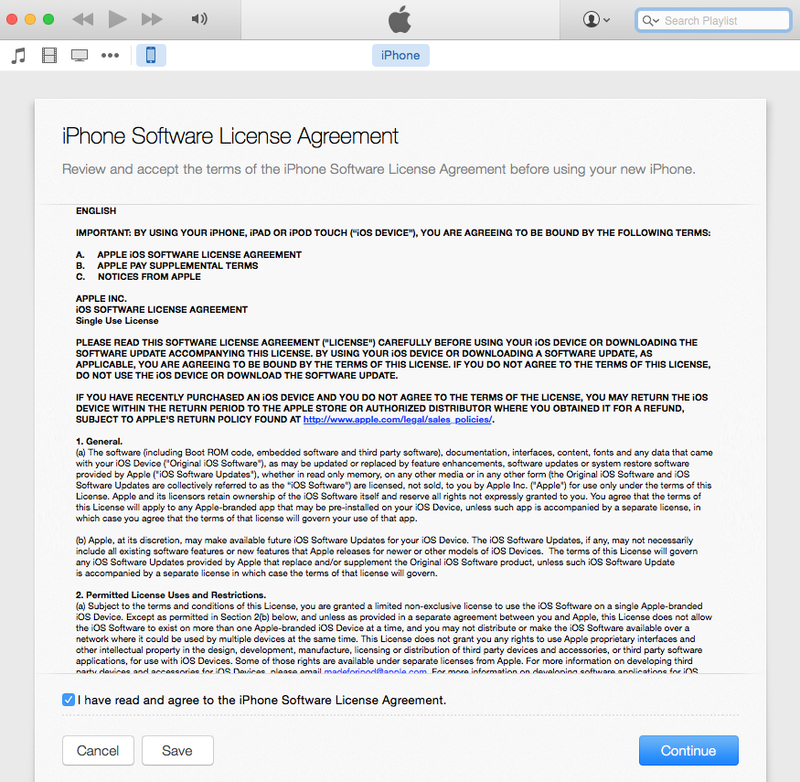 Recently AT&T partnered with Apple to allow Wi-Fi calling on new iPhones. This is great news for people who had very poor signal quality in their homes or offices. There’s presently an issue that seems to only be happening on the Apple iPad Pro where email signature is duplicated at the bottom of emails when changing the From sending address. Setup multiple send from addresses following the instructions found here: “Using Multiple Send From Email Addresses in Apple iOS.” Keep in mind that this has only been tested for people who have generic IMAP or POP3 email services (like those provided by a website hosting company). Create a new email message or reply to an existing message. For the From address, choose an account, and then choose another account. Each time you choose a new account, the signature won’t be replaced (as is normally the case), but instead an additional signature will be placed at the bottom of your message. If you switch to another app, and return to your in-progress draft email, another email signature will be added again each time you switch away and come back. If a solution is found, it will be posted here. The Apple iOS platform (the operating system for iPhone, iPad, and iPod Touch) let’s you have multiple send from email addresses. 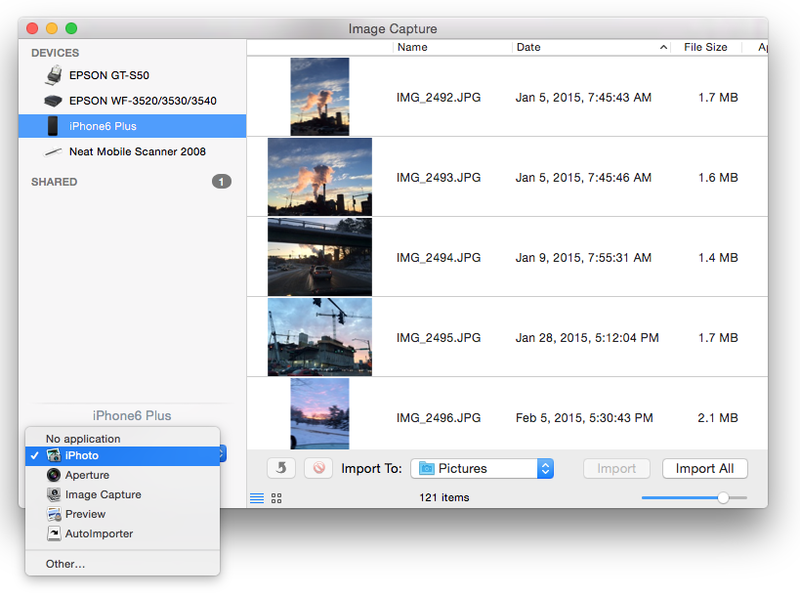 This document explains why you’d want to do that, and how to set it up. Save Time. A ‘catch-all’ account eliminates having to manage multiple email accounts. Be Spontaneous. You can create an email address in an instant, from anywhere, and know it will work immediately. This is very helpful when standing in line at a store, and wanting to provide an email address that is unique for that vendor. Sort Efficiently. You can setup email rules based on the address a message was sent to. Manage Spam. If you start getting spam at an email address that is unique for a specific vendor, then it may be they are selling your email address to third parties. Keep Organized. If you have several areas of expertise and services you provide, you can have an email for each of them. Go to Settings > Mail, Contacts, Calendars > Mail > and selecting an email account. Tap on Add Another Email to create an additional email address you can send from under this same account. You must press the enter/return key after typing the email address to save it. Then you can return back to the main Settings screen, saving as you go. A recent Windows update causes iTunes to not recognize any connected iPhone, iPad, or iPod. Although iTunes doesn’t see the iOS device, Windows will acknowledge that it’s been plugged in (with the sound alert for connected devices). Windows Explorer also shows the iOS device listed, and the DCIM folder with pictures is viewable. This may also be a problem with Windows 7 and Windows 8. Administrator. Make sure you’re logged into your computer as an Administrator. The username you usually login with may be an administrator account, but if it isn’t, you’ll need to login using a different account such as a Maintenance account. Device Manager. Once logged in, go to the Device Manager by right clicking on your Computer icon and choosing Properties. Then click on Device Manager. Or, instead, you can get to Device Manager by going to Control Panel > System and Security > System > Device Manager. iPhone Drivers. From the list of devices, click on Portable Devices. You’ll see Apple iPhone listed. Right click and then from the pop-up menu click on Update Driver Software. Finish. Click the Next button to finish the driver installation update process. The images below show the above process. Click any image for a larger gallery view. Soon Lync for iOS devices (iPhone and iPad) will become Skype for Business. The change brings a fresh new look and simplified controls to all the features and functionality you already know. We realize that you have some questions about what the change means for you. Read on! What’s new in Skype for Business for iOS? Skype for Business for iOS includes a new look and feel, at-a-glance view of your upcoming meetings and conversation history, easy call control, and other improvements. And, if your organization uses Skype for Business Server 2015, the ability to communicate with your Skype contacts using IM, audio call, and video call. Will the update happen automatically? How can I participate in the technical preview program? The technical preview program is now closed. Does Skype for Business run on all versions of iOS? Skype for Business runs on iOS 8.0 and later. If you’re using Lync on an earlier version of iOS, continue to use it. The update to Skype for Business will be available through the App Store to all users with iOS version 8.0 or later. To see which version you have, tap Settings ( ) > General > About. Once the update is installed, your contacts and meetings will be there and will work just like they did in Lync. If you’re using an earlier version of iOS, you’ll continue to use Lync 2013. You will not be able to update to Skype for Business. I’ve never used Lync or Skype for Business on my iPhone or iPad. Where do I get it? To use Skype for Business for iOS you need a Skype for Business or Lync account—typically the same user name and password you use when signing in at work or school. If you’re already using the desktop version of Skype for Business, then you have a Skype for Business account. Once the released version is available, you’ll be able to download it from the App Store. See Download, install, and sign in to Skype for Business for iOS devices for more information. I don’t have an iPhone or iPad. Is Skype for Business available for Android or Windows Phone? Skype for Business for Windows Phone is available now. See Download, install, and sign in to Skype for Business for Windows Phone 8.1 for details. Skype for Business for Android is now in technical preview. See Skype for Business is coming to Android for more information. Skype for Business is here!